Manufacturer of a wide range of products which include water flow sensor. We have emerged in offering our respected customers a comprehensive assortment of premium quality Water Flow Sensor. Sourced from the authorized vendors of the market, these flow sensors are widely used to determine the flow of water in the systems. Offered flow sensor show readings in a cubic meter, cubic feet or US gallons. Customers can avail offered array of sensors from us in various models as per their requirements. Water Management System adds Parameter like Flow / Total Flow etc. Multiple levels of security for users with access rights & password. 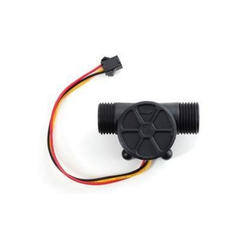 Looking for “Water Flow Sensor”?